For some mothers, taking care of themselves after giving birth can be very burdening so much so that it puts them off from wanting to conceive again. The process of childbirth can be quite challenging. After all, the mother has to go through nine months of pregnancy. This can be easy and difficult for everyone. After that, they have to go through childbirth and then confinement. Tell any mother to go through 30 days of post-natal pains, not being able to eat anything she wants and possibly not even taking a bath or washing her hair, it would be painful enough. 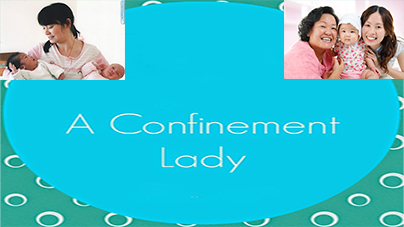 When it comes to confinement, one can choose between a live-in or a daily service provider. The latter is quite inconvenient if you need constant monitoring. Hence, most women will prefer to employ a live-in confinement lady. More commonly known as ‘Pui Yuet’ in Chinese context, this is an important person who can help you get back on your feet after childbirth. Pui Yuet refers to an older woman with experience in taking care of mothers after giving birth. The lady must have knowledge in areas particularly in preparing suitable and healthy dishes for mothers during the confinement period. Should you need a Pui Yuet? It is highly recommended for first-time mothers to employ a pui yuet considering that they are not familiar with any practices or restrictions during confinement period. To find a reliable and trustworthy pui yuet, the first and easiest method is to ask around for recommendations. You need to find out if the pui yuet is attentive to the baby and whether she can cook and prepare must-eat dishes for the mothers. A pui yuet must know how to bathe and feed the baby, wash the mother and baby’s clothes and clean up the house on a regular basis. As a mother, you must breastfeed your baby on the first few days before suppressing the milk and give it to the pui yuet to feed your baby. Some pui yuet also prepare regular meals for your family. and plenty other confinement-related dishes. While the pui yuet may care for you and the baby, you are not expected to rely solely on them to look after your older children 24/7. This is because this job can be very daunting. It takes up a lot of physical and emotional energy. Hence, the confinement lady should be accorded with a break. Usually, it would be most ideal for the pui yuet to only look after your older kids when you are taking a nap. Bear in mind that there are advantages and disadvantages for employing a live-in confinement lady. For first-time mothers, having a pui yuet is a good experience to learn baby care basics from them since they have taken care babies previously. When you have gone through this experience once, then your second child will be easier. At least you would have recalled some of the practices of the first time. That means you might not need to employ a live-in confinement lady during your second pregnancy and save some expenditure by employing a daily one. Besides, you can rely on pui yuet in certain areas such as feeding your newborn baby and preparing healthy food for you. And best of all, you can rest at times knowing that an experienced pui yuet is there looking after your baby (instead of worrying from time to time if you employ domestic helper). But nevertheless, there may be some disadvantages for hiring a live-in pui yuet. Firstly, you may disagree on certain practices or restrictions imposed by the pui yuet. In many cases, the pui yuet would base on experience to push for certain practices but it might not be what you want. This could be in terms of hygiene, family tradition and such. This is the time for your husband to step in and talk over it with the pui yuet. Besides that, your pui yuet may lack of basics in breastfeeding. Therefore, if you do encounter such problem, it is best to refer to a qualified breastfeeding counselor. If you still couldn’t bear with the pui yuet even after your husband has talked to her, then you may consider terminating her service and find a better live-in confinement lady. This means that there might be additional costs but it will always be better to have someone you are comfortable with.